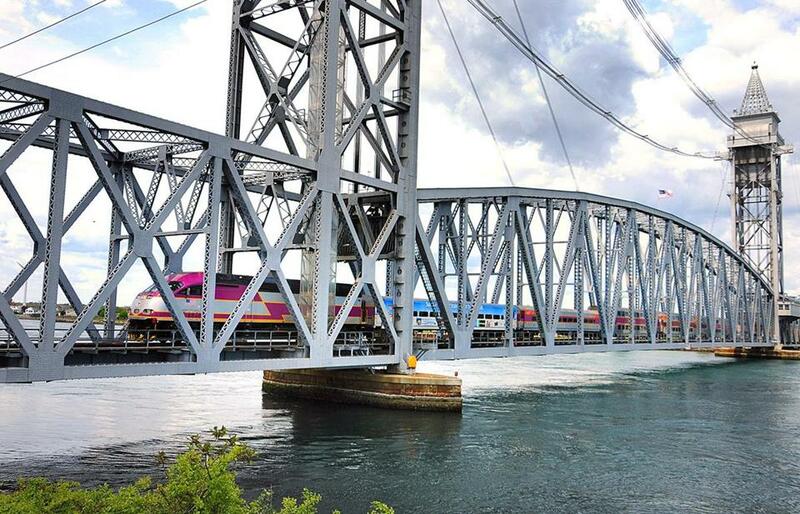 The CapeFlyer crosses the Cape Cod Canal on the vertical-lift Buzzards Bay Railroad Bridge. Sunday’s 25-mile line of vehicles creeping across the Sagamore Bridge may go down as one the worst-ever Cape Cod traffic nightmares, but it also served as a free advertisement for a less stressful mode of transportation: the CapeFlyer weekend train service between Boston and Hyannis, which still has plenty of room for passengers. Because of the extended July Fourth holiday period, the Cape Cod Regional Transit Authority, which started operating the new route more than a month ago, added extra trains on Wednesday and Thursday last week, in addition to the regular Friday-through-Sunday runs. Over the five-day period, about 1,300 passengers traveled to Hyannis, and 1,000 made the once-a-day trip to Boston. While Cahir said those numbers exceeded the authority’s original estimate that 300 people would ride either to or from the Cape each weekend, the nine-car commuter rail trains, provided by the Massachusetts Bay Transportation Authority, can accommodate about 1,000 people. Cahir said there were more than 500 passengers on board when last Wednesday’s train left South Station, some of them commuters. That was topped by Sunday’s train out of the Hyannis station when 672 people avoided the gridlock on Route 6 by letting someone else do the driving. 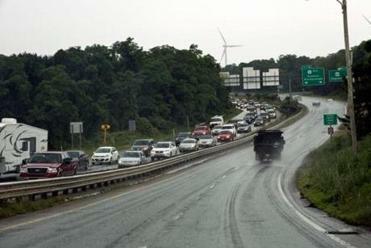 Even in the infamous annals of Cape traffic, the backups at the end of the July Fourth weekend were cruel and unusual. Tickets for the 2½-hour ride are $35 round trip and $20 one way. The trains make stops in places such as Braintree, Middleborough, and Buzzards Bay. Until July 4, CapeFlyer ridership numbers had been disappointing, a showing that officials blamed partly on June’s rainy weather. One weekend, just 352 people took the train to or from Cape Cod. Since the first paying passengers boarded on May 24 , CapeFlyer trains have attracted 6,269 riders, generating between $112,000 and $115,000 in revenue, according to the transit authority. Cahir said the service costs $165,000 to operate for the 15-week run and requires at least 310 passengers a week to break even. Cahir said that if ridership is strong through July and August, as expected, it’s possible the Cape Cod Regional Transit Authority may seek to extend service beyond the current Labor Day cut-off date. That could prove appealing for travelers seeking to avoid not only traffic, but also the bigger crowds and higher room rates that come with Cape Cod in the summertime. For more information on the CapeFlyer and its scheduled stops, visit capeflyer.com . Emily Overholt can be reached at emily.overholt@globe.com. Follow her on Twitter @emilyoverholt.